Pink Street’s local team work with you every single day to achieve the best price and the best results for your property. Pink Street combines the local knowledge, face to face service and expert advice from start to finish that you’d expect from the best High Street Estate Agents with the low fee and modern technology that helps us reach more buyers like the Best Online Estate Agents. If you want the best of both, go to Pink Street!Pink Street’s local team work with you every single day to achieve the best price and the best results for your property.  Pink Street combines the local knowledge, face to face service and expert advice from start to finish that you’d expect from the best High Street Estate Agents with the low fee and modern technology that helps us reach more buyers like the Best Online Estate Agents. If you want the best of both, go to Pink Street!